Looking for something to brighten your skin? At Reflections Wellness Center our SkinCare Specialist can select from an array of chemical peels to address your skin’s individual needs. These chemical exfoliates are used for medical-grade results to correct issues such as acne, pigmentation, dehydrated skin, fine lines, and wrinkles, by increasing cellular turnover. A Chemical Peel is a professional procedure where our SkinCare Specialist’s use scientifically formulated compounds to remove the upper layers of damaged skin, which helps speed up the process of skin renewal and regrowth. Our SkinCare Specialists are professionally trained how to use Glymed products correctly so that our patients get the beautiful results they are looking for. It is important to know that there are different types of chemical peels and it is very important to make sure you have a professional that is applying these peels so that the skin is not further damaged. If a peel is applied incorrectly it can damage and be more harmful to the skin. What do I need to know about Chemical Peels? Before you get a peel we recommend that you schedule an appointment for a SkinCare Analysis to understand the specific results of the chemical peel you are receiving and how that can help you achieve your skin care goals. 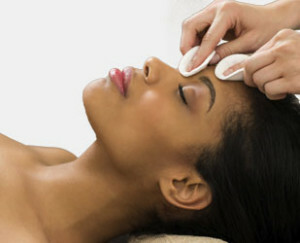 It is important to note that tt can also take a series of peels to really see the results you are looking for. Chemical Peels are used to help speed up the process of cell turnover. The idea is to then have new layers of the skin as the upper layers bringing you the results you want. It can take 3 to 4 days before the skin starts to peel and up to 2 weeks after a deeper peel for the skin to finish peeling, showing and bringing you results. For more information about Chemical Peels or any other cosmetic treatment options, don’t hesitate to call us to schedule an appointment.